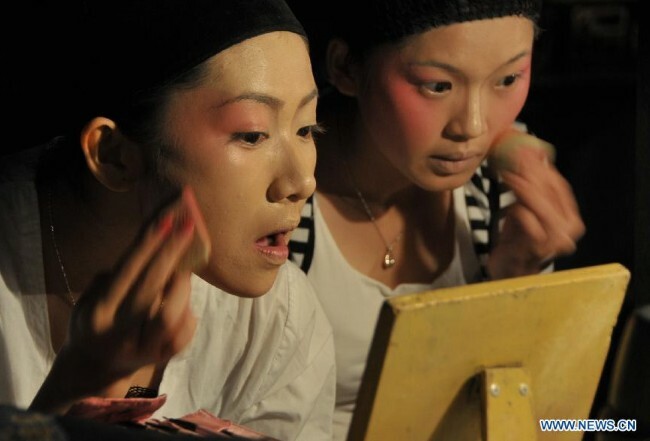 Performers put on makeup before the performance in Songmei Village of Lingao County, south China’s Hainan Province, Feb. 14, 2013. Actors perform Hainan Opera in Songmei Village of Lingao County, south China’s Hainan Province, Feb. 14, 2013. 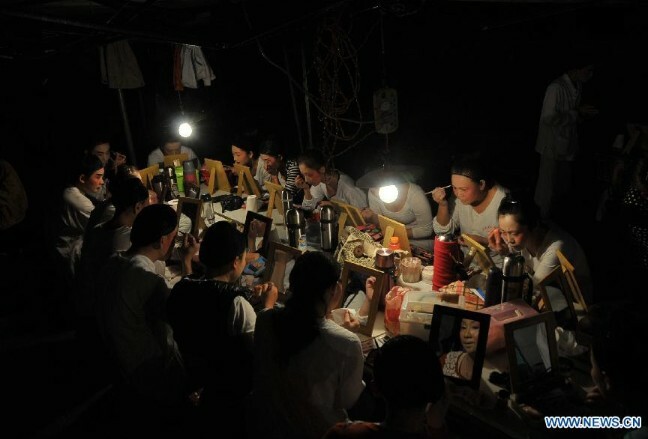 A group of performers from Hainan Opera Theatre went on a ten-day tour performance in ten villages of Hainan Province. 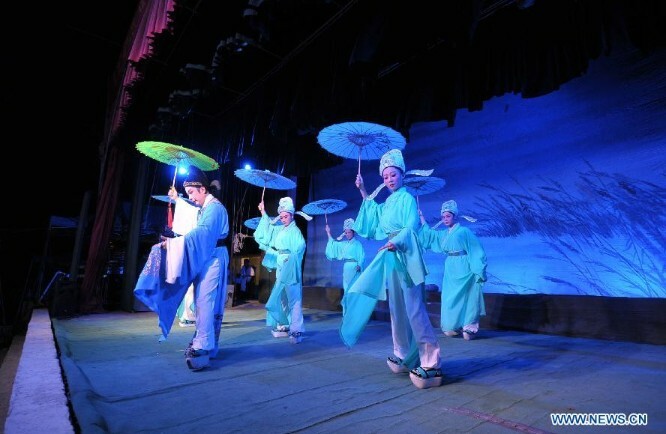 With a long history of more than 300 years, Hainan Opera has developed strong local characteristics and is very popular in Hainan and among the overseas Chinese, particularly in Southeast Asia. Hainan Opera, Guangdong Opera, Chao Opera and Han Opera are called “four major operas in Southern China”, which are popular in Hainan, Guangdong and Guangxi. As many Hainan Opera artists migrated to Southeast Asia at the end of the Qing dynasty, we can still see Hainan Opera performances in countries like Singapore, Thailand, Malaysia, Cambodia, Indonesia, Vietnam, the Philippines and Brunei.